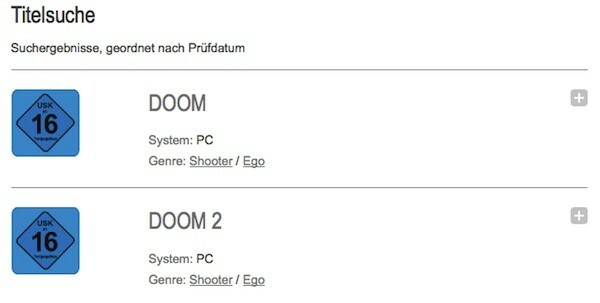 Doom may run on just about everything these days, but one place it hasn't been very accessible during the past 17 years -- regardless of the device -- is in Germany. That finally changed this week, however, with both Doom and Doom 2 receiving a USK-16 rating that allows them to be made available wherever video games are sold. Both games had previously been "indexed" by the country's Federal Department for Media Harmful to Young Persons, which has effectively confined them to the underground market since their debut. According to the BBC, the ban was lifted because the agency now considers Doom to be "mainly of historical interest," although it notes that Germany is maintaining the ban on one particular version of Doom II that contains levels from Wolfenstein with Nazi imagery. As for Doom publisher Bethesda Softworks, it tells Joystiq that it's "obviously very pleased" with the decision, and that it will let folks know when it plans to actually makes the game available in Germany. Tags: ban, bethesda softworks, BethesdaSoftworks, doom, doom 2, doom ii, Doom2, DoomIi, germany, id, id software, IdSoftware, rating, ratings, violence, Doom now approved for sale in Germany, 17 years later.